Treated Garden Decking, Newels, Spindles, Handrails, Fence Panels, Treated Deck Joists & Treated Landscaping Timber all in stock. Axxys Dek is a unique system for patio decking that allows you to create a stylish, functional feature in your garden. It is quick and easy to assemble and requires a minimum amount of skill to install. 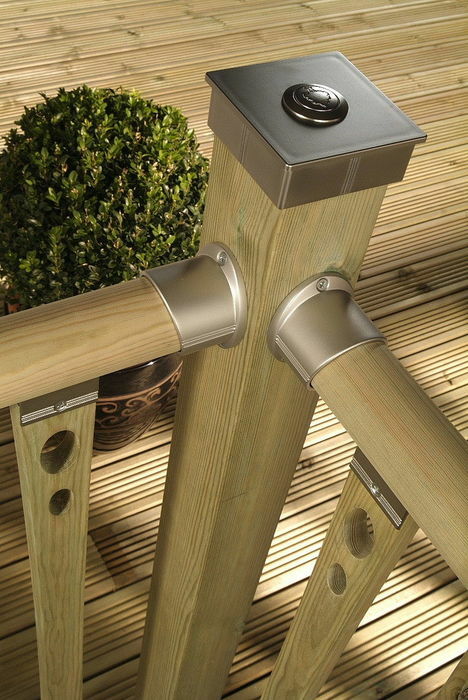 The range incorporates contemporary styles of garden decking components to compliment your home and garden. Choose from metal tube spindles, curved, fretted timber balusters with an elegant oval design or minimalist stop chamfered timber balusters to create the ultimate garden decking feature.